My daughter Ava and I dancing. We had so much fun this day. 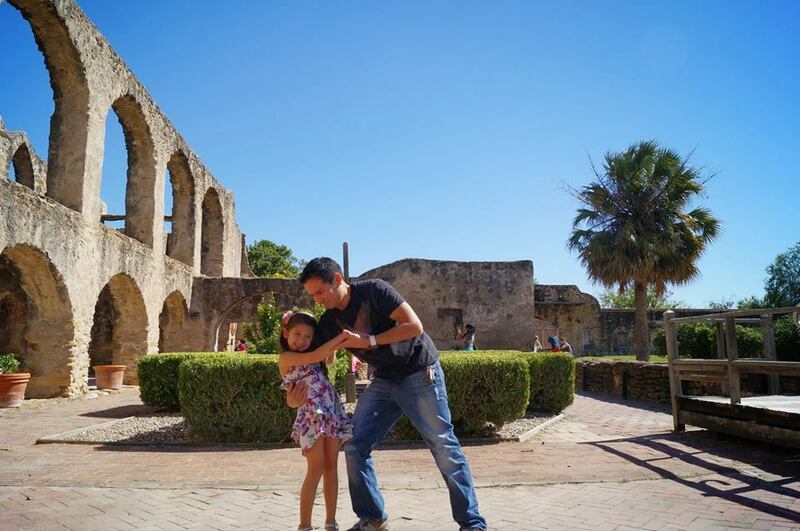 I took both her and my son Zachary sightseeing through several of San Antonio, Texas landmarks. Mission San Jose (where this picture was taken) is one of our favorites. It is also where my beautiful wife Debbie and I got married. Zachary, only 4 years old, took this picture.